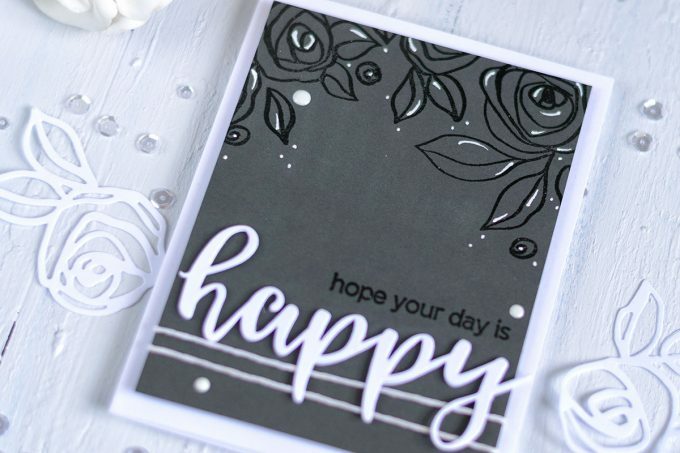 Today I want to share a very simple monochromatic card using the beautiful Bamboo Rose Stamp Set. 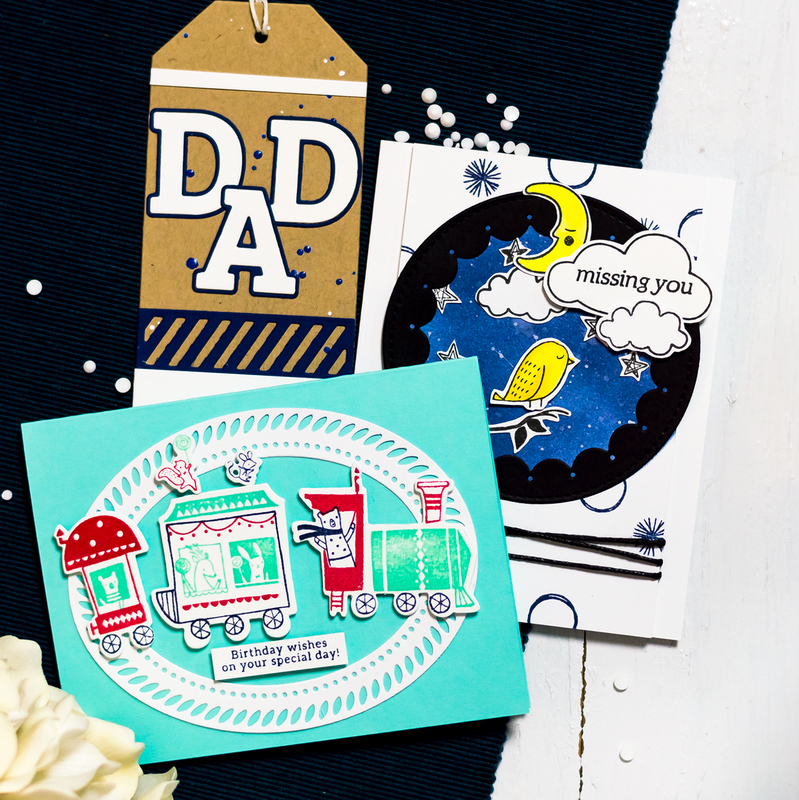 No color inks were harmed in the making of this card. 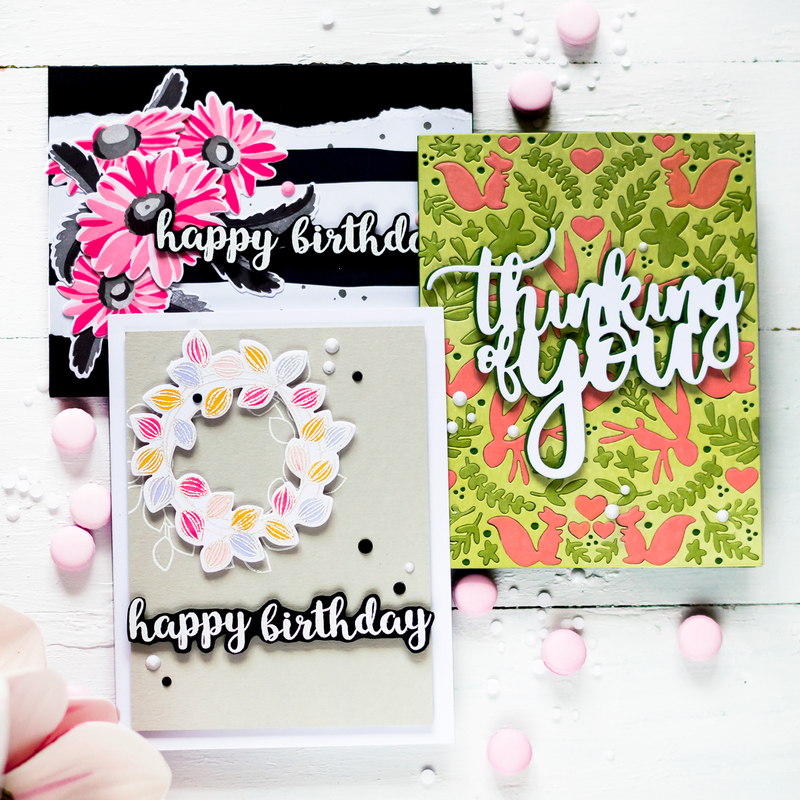 😉 Don’t get me wrong – I love inks, stamping is my favorite technique. 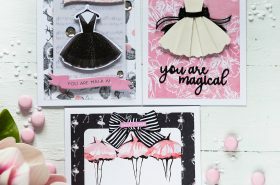 I just happened to not use them on this card. 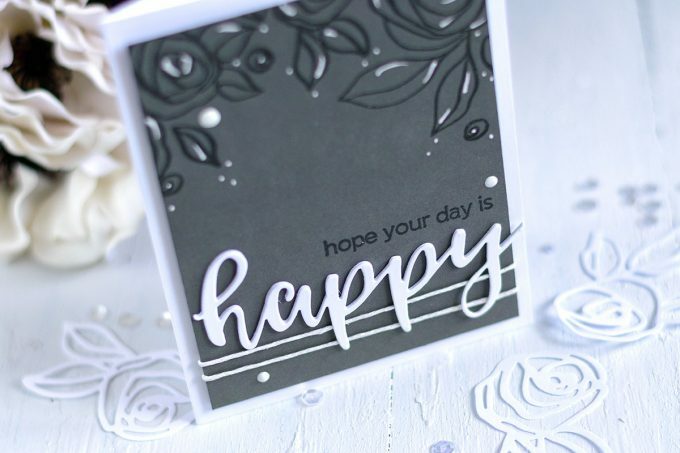 I started by making a panel out of the Dark Gray Cardstock and clear embossing floral design in the top part of the panel. 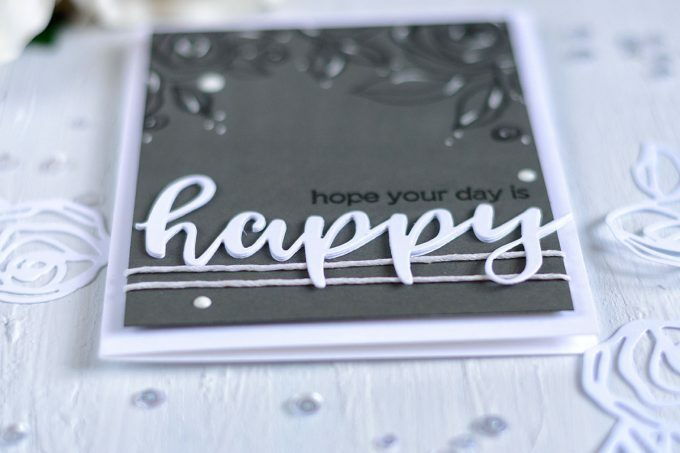 Next, I wrapped a white hemp twine around the panel and clear embossed a sentiment from the Halftone Happy Stamp Set. After that, I foam mounted the panel onto a white card base. 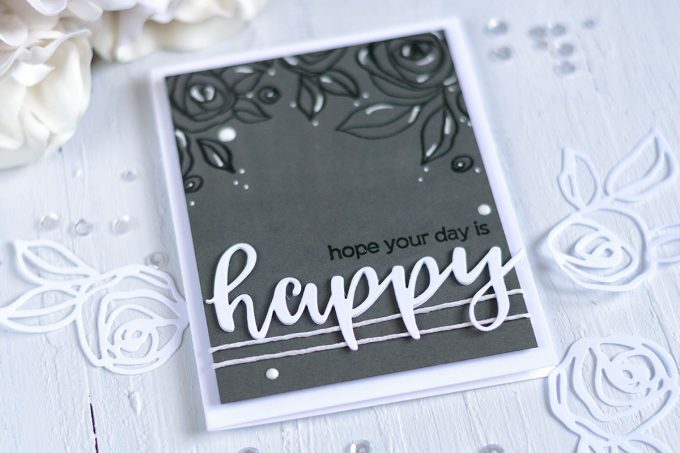 I die-cut the word ‘happy’ using a die from the Script Words 2 Die Set out of Solar White Cardstock several times. I trimmed the bottom parts of the letters p and y from all die-cuts but one and adhered them together. I placed the untrimmed die-cut on top. I did trimming to be able to have these parts placed above the twine (which is quite thick as you can see) on the same level as other parts of the word. 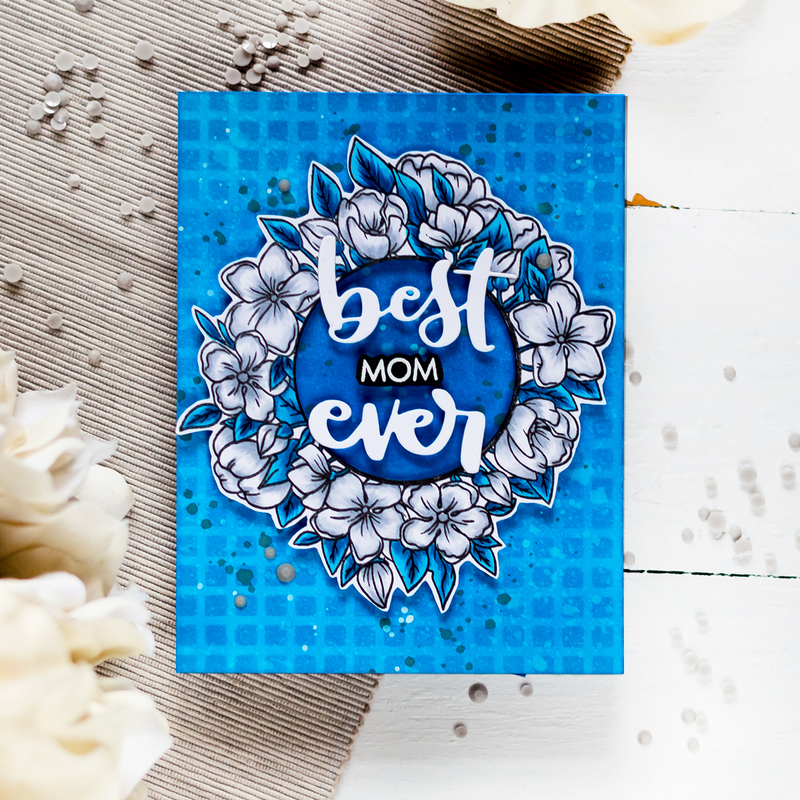 As finishing touches, I added some dots and doodling with a white gel pen and several liquid white droplets. 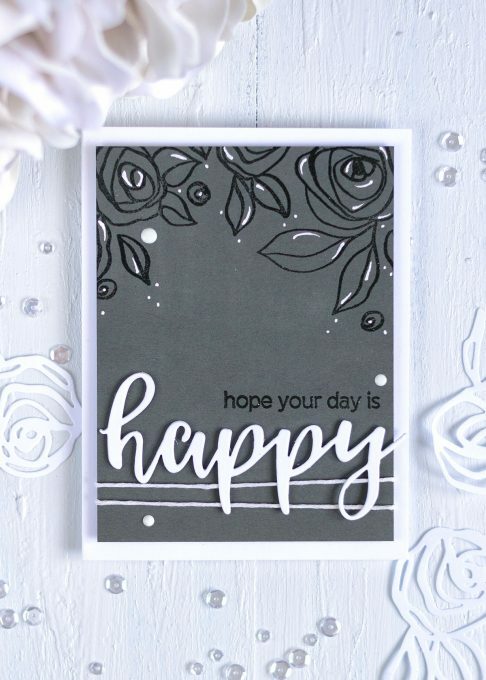 AWESOME card, love it. 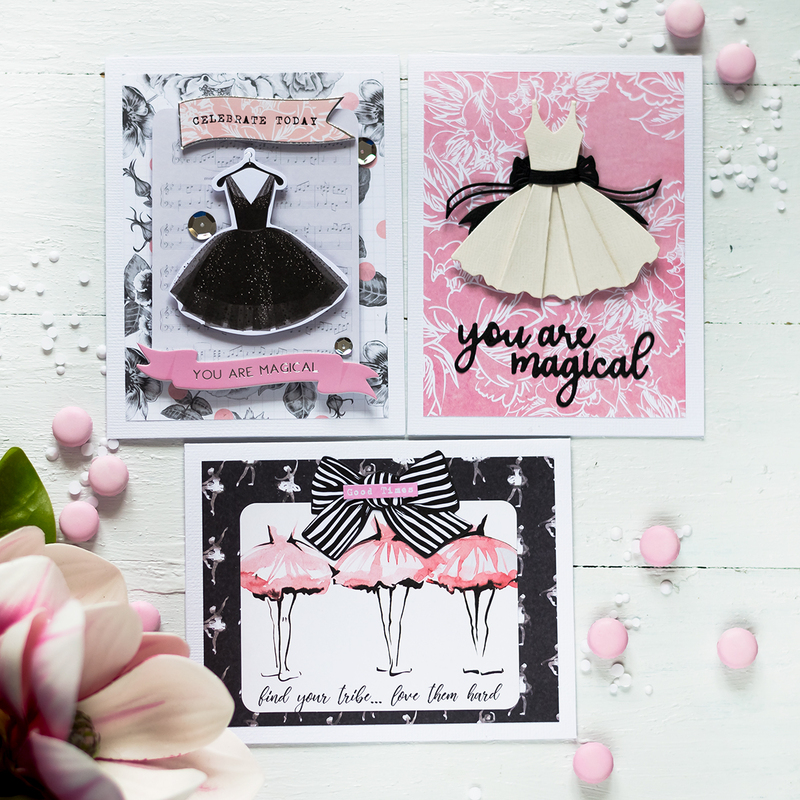 I always love the cards you do on the darker cardstocks, black or dark gray, I use black so much in my card making. 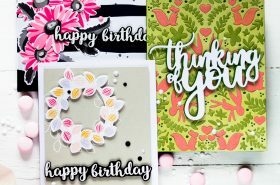 I saw your card over on the Altenew blog the other day, of course, I knew it was yours 🙂 Stunning card, thanks for sharing. So pretty! 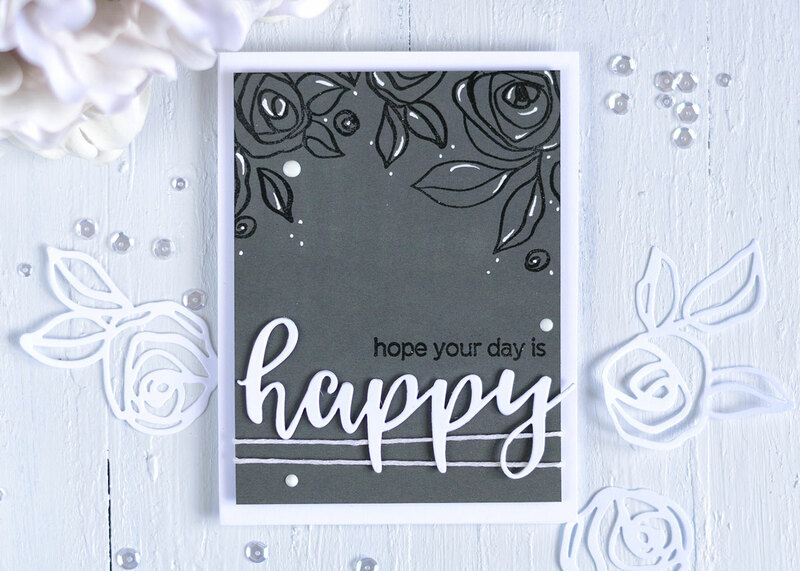 I love the gray and white!